1. Here is the blank programme for Doncaster 2019. 2. Date confirmed weekend of 27th to 29th September 2019 inclusive. 3. Location, same as always. 4. You will see a slight change in timings, this allows each game on Saturday to be 2.5 hours long. Last edited by Skafloc; Today at 11:39. Anyone interested in putting on a game put your thinking caps on. 1. Same guideline rules as for 2018 for those putting on games. 2. Please don't publish here but please PM me your game idea in full. OK chaps, now that PragueCon has delivered another excellent weekend of gaming the Game Slots are now open for bidding for 2019. Rob has kindly offered to take the first slot. (Could you please confirm which slot and what type of game please Rob?). A. Write out a brief description of your game, expected run time, period and its aim. (Please include any in house special rules you may be considering to use). B. Send to skafloc either by PM or to skafloc300@gmail.com. C. Once confirmed go ahead and plan out your game. D. Once allocated a time slot ensure you can run the game and complete its aim within the time allowed. E. If it does not, amend your game accordingly. F. Games will not overrun. G. Ensure you have ALL the correct equipment, planes, scenery for your game; if not it is your responsibility to source this from another person or person prior to attending, always ensuring this is not being used in another game. H. If you are unable to set up on Friday night for game 1 on Saturday then you will be allocated a later slot. A. Your game will last 2.5 hours. C. Saturday 1st games and Sunday Ace of Aces game will be set up the previous night. D. You should allocate a maximum of 15/20 minutes within which to set up your game. E. Your game needs to be set up and ready to run at the appointed time. F. It will have at least 6 players to a maximum of 12 (should we get the numbers attending). G. Within that time your game brief should be no longer than 10 minutes and must include any special in house rules you have included. (See note at end). H. Within that time your game debrief should be no longer than 10 minutes and does not have to include who got what points. Just a brief conclusion. · No more than 1 Ace card per side. o Ie Shoot down the bomber(s). o Shoot down the enemy aircraft. +2 Shooting down an enemy aircraft with no assistance that move from another player. 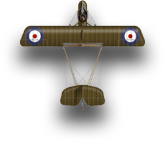 +1 Assist in shooting down an enemy aircraft that turn with other friendly aircraft. +2 Sinking or Capturing an enemy ship with no assistance that move from another player. +1 Assist in Sinking or Capturing an enemy ship. Bonus points may be awarded as follows:[/B? +1 Shooting down an enemy Ace. +1 On the winning team. +1 Achieving the game aim, ie sink, blow up, shoot down something specific. · A score sheet for each game will be issued for use and must be filled in and handed back at the end of your game. · etc...if there are more than 8 players ie 10 players then, still 8 7, 6 etc. 9th and 10th will get 1 point each. · Less than 8 players...it's still 8 for 1st place etc. · That way the scoring is the same no matter what game you play in and the playing field is level for all. · Those running games will be awarded an average score from the competition points ( 8 players = 5 points) to compensate running a game but allowing them to compete in the various competitions. J. You will have 30 minutes to clear your table and 30 minutes within which to pack up your game. K. Each table will have 2 side tables: 1 for the clearing player to move his equipment onto and the 2nd for the next game player to have his equipment ready to be set up for the following game. L. It is the responsibility of the next organiser to ensure his required equipment is at the set up table prior to his set up time. M. Players leaving a game should assist in moving equipment, gaming mats off tables so it is clear for the next player to set up. N. If these are lengthy or complicated then once the game slots fill up why not post out to these players your special rules prior to the weekend to save time. You could also include a brief of the game. To confirm there are 3 games on Friday, due to timings they will all be running at about the same time. On Saturday we have 3 tables, each with 3 games being run on them during the day. Guntruck has taken WW2 Slot 1 on Saturday. Is there a copy of this grid that I can download as the published image above will not? Flights to and fro Donnie (27-29 Sep). booked. (WRO - EMA, EMA - WRO). Now the accomodation. Any hints, chaps? 44 players total, that means roughly 15 by each table. Teams of 7-8 pilots per side. These are big numbers to control. Discipline, timing and order - these virtues will be required from all. Especially in the mornings. Reg just sent you an email. Not wishing to rock the boat for the Sails boys or cause a turbulance for the Wings but is there any chance of dropping a BSG in on Friday or is that too heretical. My apologies but I'm heavily committed to the big charity game for D DAy on 8th June. So I may post earlier or later than the 1st of June for next update. Ok 1 slot Friday dedicated to BSG and 1 Slot to T&T (if we have the bits)? Any volunteers for a. Bits and b. Running the games? If we have the bits I am volunteering to handle the Martian Invasion. And asteroids - one for Steve, and one for Rob!